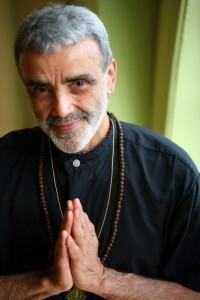 The Godsend His Holinesswas, Sri Dharma Mittra, was born in a small village in Brazil and at a young age began studying the esoteric teachings of Yoga. By the grace of God, Sri Dharma Mittra was introduced to his Guru, Sri Swami Kailashananda in 1964. From that day forward he immersed himself in the study of the Holy Science of Yoga and in a very short time was initiated as a sannyasi (one who renounces the world for the purpose of God-Realization). After several years of being the personal assistant to his beloved Guru, Sri Dharma left the ashram and began disseminating the knowledge of yoga. H. H. Sri Dharma Mittra is a supreme, living example of Yoga. As an illumined master, he has dedicated his life to assisting the overall evolution of humanity by blindly loving all beings he encounters. His life represents the divine grace of a serious sadhaka and brahmachariya in the service to mankind, through the ethical, spiritual, and practical physical philosophy in action. He has influenced hundreds of thousands of aspirants in his over 45 years of teaching. He is a true yoga master whose presence alone leaves a lasting impression. Legendary Master, Sri Dharm Mittra, is the creator of over 330 advanced Yoga Postures and variations, which exist as a testament to his dedicated contribution to Yoga today. A world renowned masterpiece; The Master Yoga Chart of 908 Postures published in 1984, was meticulously assembled from over 1,350 photos Sri Dharma Mittra took of himself. He continues to selflessly disseminate yogic teachings daily at his temple in NYC. He has 2 DVD’s Maha Sadhana for Beginners and Intermediate, and the book, "Asanas 608 Yoga Poses".